Whether you want to move one inventory item of your’s or several items from one warehouse to another, you can do so with a few clicks of your mouse. 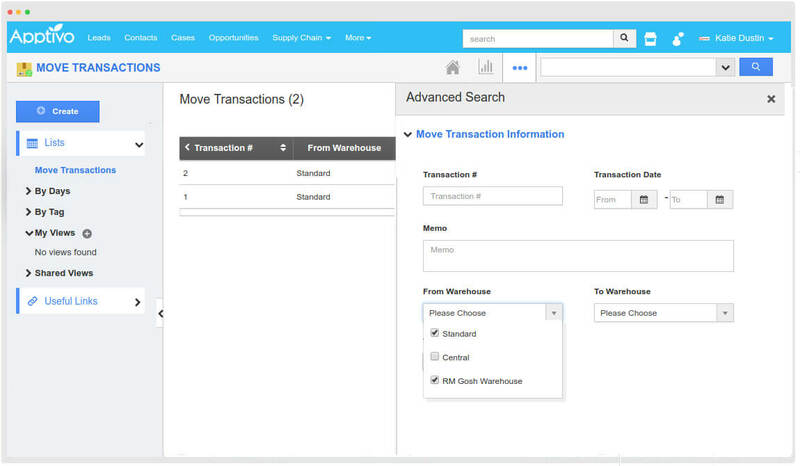 This is a comprehensive application that simplifies your transaction operations, and ultimately saves your time. 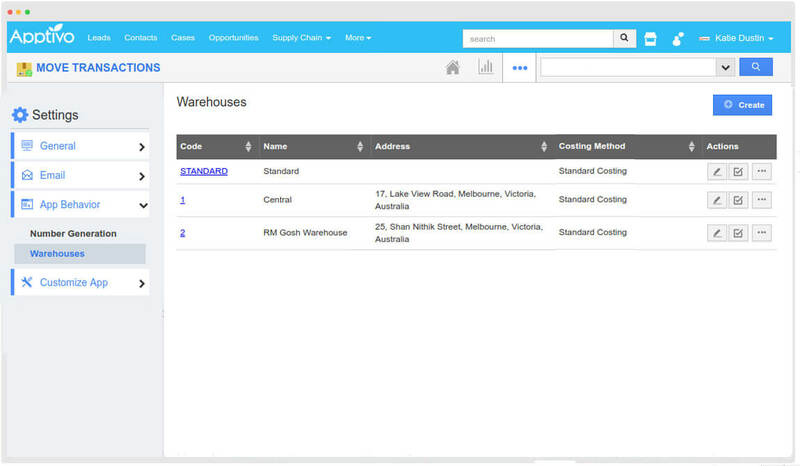 Create and configure multiple warehouses effectively. Having all your warehouses in one place becomes much more manageable, and you edit and update the warehouse information, anytime you require. 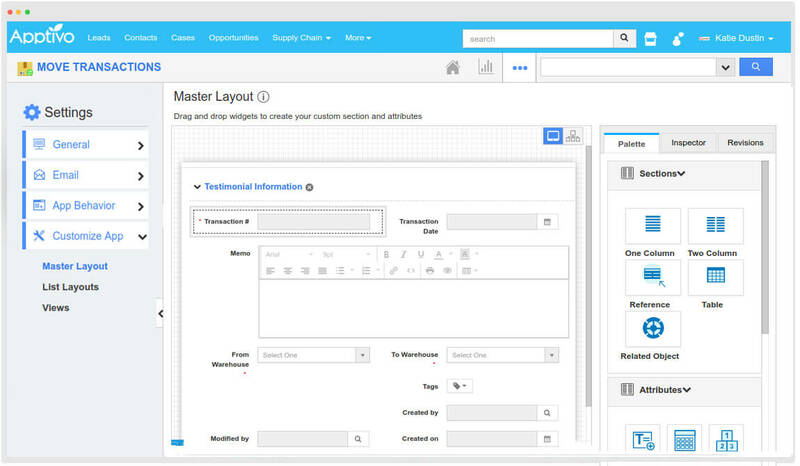 Being customer driven, we offer several fundamentally easier and collaborative customizations. 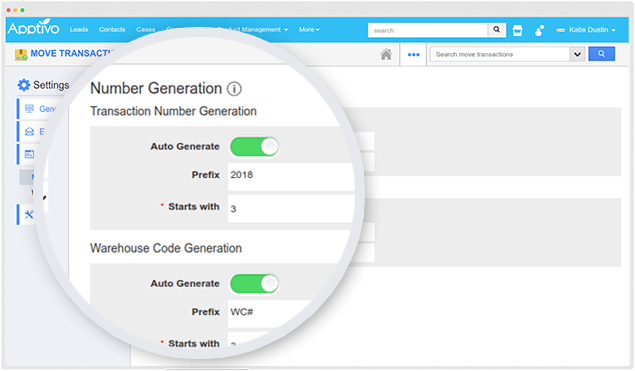 Add or remove any number of custom fields in the creation page, create list layouts and select the fields you would like to view in the layout, and much more. 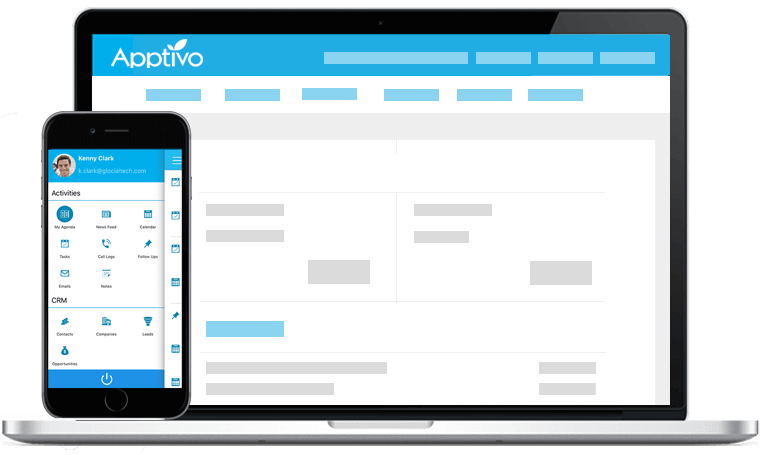 Views makes your job easier and Apptivo offers you a set of standard views and filters. You can also create your own custom views for filtering data efficiently. Numbering your transactions is very crucial and will help you in retrieving the transaction records quickly. Besides the manual entry of numbers, automatically generate numbers for creating distinctive transaction numbers.